A new study elucidating the mechanism of HIV-1 capsid disassembly entitled “Structural basis of HIV-1 capsid recognition by PF74 and CPSF6” was published in Proceedings of the National Academy of Sciences by Akash Bhattachary part of the Dr. Dmitri Ivanov’s group at the Department of Biochemistry and Cancer Therapy and Research Center, University of Texas Health Science Center at San Antonio, along with colleagues. 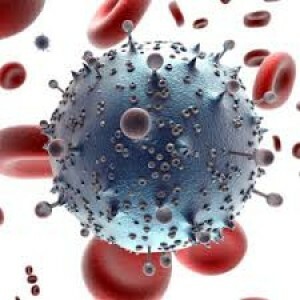 The human immunodeficiency virus (HIV), the virus that causes the acquired immune deficiency syndrome (AIDS), affects more than 34 million individuals worldwide, among which around 1.2 million individuals in the United States. HIV/AIDS has been the cause of death of an estimated 30 million people. Notably, the use of antiretroviral therapy has improved the health and longevity of people infected with the HIV by reducing the amount of virus in the body’s fluids like the blood and genital secretions, making less probable the transmission of the virus. “It’s still a matter of debate at what point the capsid falls apart in HIV-1 infection of cells,” said Dr. Dmitri Ivanov, assistant professor of biochemistry in the School of Medicine at The University of Texas Health Science Center at San Antonio and a senior author on a study, in a press release. [adrotate group=”15″]After HIV-1 infection, the conical capsid formed by CA protein, a protein important for viral replication, is released in the cytoplasm. The capsid protects the RNA genome and proteins needed for reverse transcription. Importantly, the surface of the capsid is important for various host-virus interactions that favor infection or protects the virus from the host immune system. In this study, the research team showed that a drug that inhibits HIV-1 infection, the PF74, and a host protein named cleavage and polyadenylation specific factor 6 (CPSF6) were bounded to a small compartment on the surface of the viral capsid and prevented its disassembling and, consequently, the release of RNA genome and viral proteins. Dr. Ivanov said that this mechanism of interaction can be used for the development of new therapeutic strategies against HIV infection.